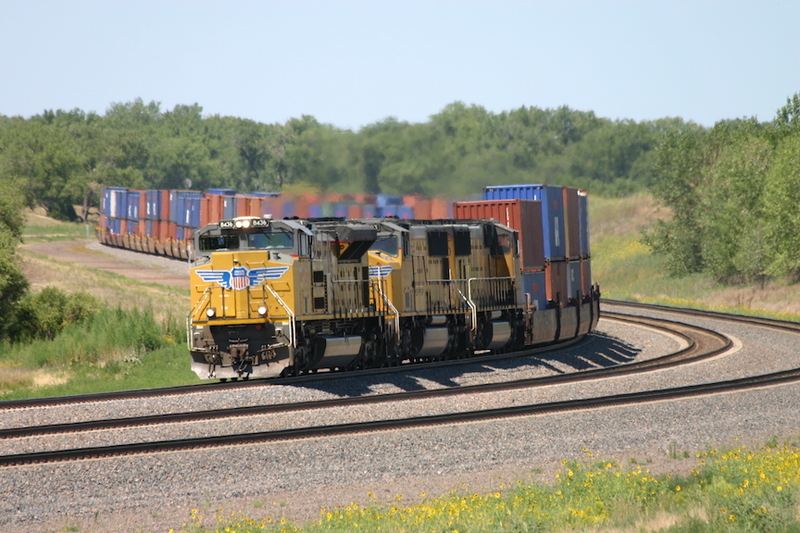 Re: Gibbon, Cozad & Western - "The 100th Meridian Line"
First train circumnavigated the full layout this evening. Once a couple of minor track bugs were squashed, four laps at ~8.5 minutes per, at 53 smph. The superintendent has temporarily suspended Rule G for a celebratory beer. Then back to work. Checked the first post of this thread - 3rd May 2012. Your progress is better than mine. 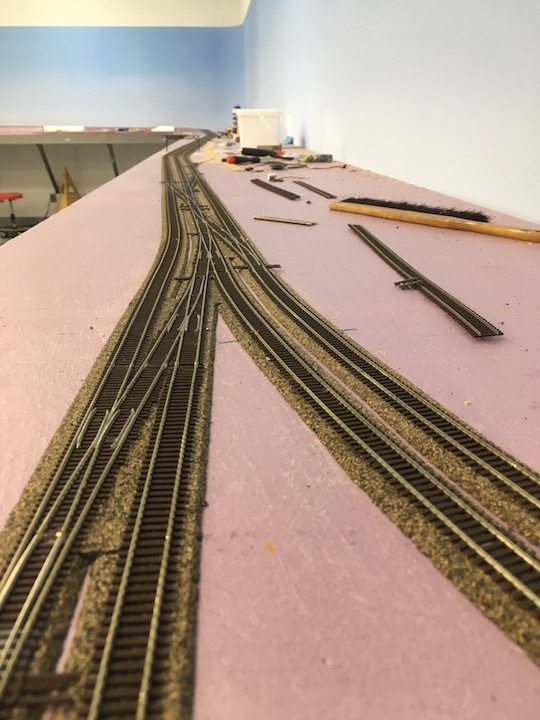 I'm particular about my trackwork and probably tend to make it straighter than the prototype. So, I am glad to say that your trackwork is beautiful and very pleasing to my discerning eye. Thank you, Dave. Yes, like you it may be "better" than most 1:1, but smooth track = more reliable operation. I can spend a couple hours nursing a kink in a joiner on a curve to get it "just so". Ha! Well, not to make you feel any worse about your own lack of progress, we do have to discount that actual layout construction didn't start until three years ago, interrupted by months' worth of a big, awful renovation project of the property next door. 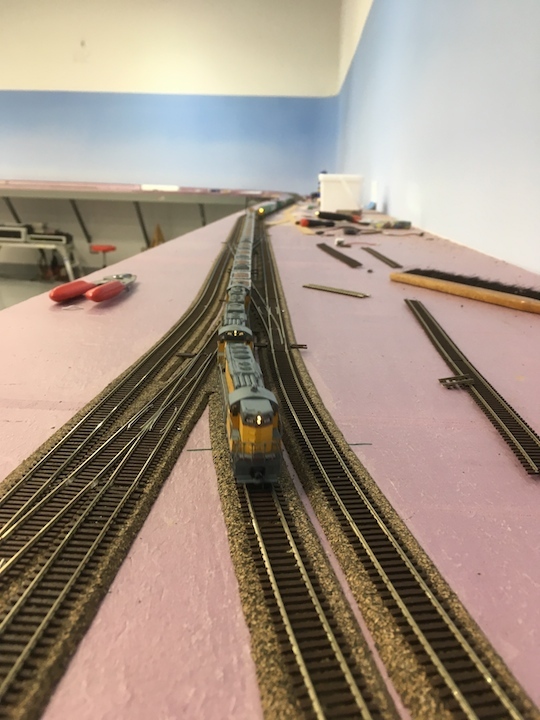 The DIY sow's-ear remodeling of the layout building may have been costly in terms of time, but in hindsight assessment it is still very much worth it. Played with fleshing-out landforms yesterday. Need to get Robyn started on trees for the scene around the new loop, but she's being distracted by a big, high-profile project at the history museum. "Hey, Ed... you miss making trees yet?" Haha, wait, given what you're modeling, you don't even NEED trees! Eds law strikes again. Pictured here is the oft reviles "S" curve. 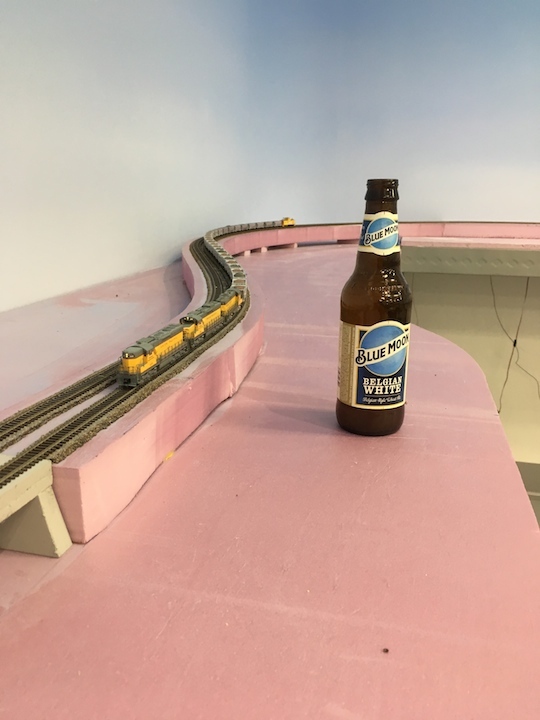 How do thos 1:1 trains make it through there???? Because there is 1/4 Mile between changes in direction? What is wrong with an S curve? This location was discussed many pages ago in this very thread. It's just a few miles east of North Platte, near Brady. 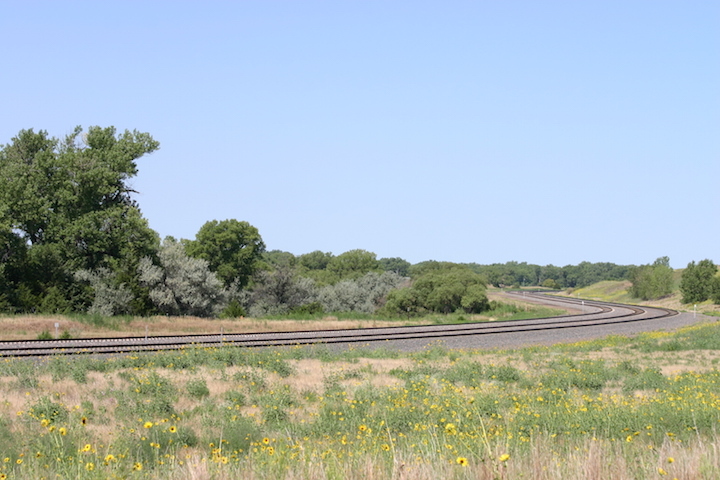 A few RR'ers know it as "Buttermilk Curve" since it's a surprise bit of non-tangent alignment in the middle of miles and miles of OMG-when-does-it-end? straight running. A belated congrats on the quasi-golden spike! You're doing what most of us could only dream about. As a 3D-o-phile, make no mistake, I understand foreshortening. I just could not resist the tease. This is one Topic that needs its own Index!! !